Uber has updated its app with a dedicated menu for controlling your privacy settings that includes another much-requested feature: the ability to delete your account. 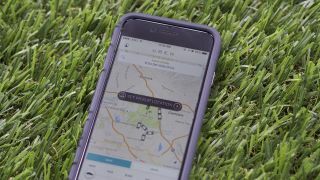 Rolling out today, the ridesharing service's new settings allow users to tweak what personal data they share with Uber, such as location, notifications, and contacts all under one menu. The biggest new feature, however, is that Uber now allows users to delete their account in-app with a single button tap. Previously, customers who no longer needed (or were fed up with) the service had to contact Uber's support team to remove their account data from the service's servers. Ironically, adding an option to quit Uber from its app could actually help the service, as customers tend to enjoy having the flexibility to start and stop using it as they choose, especially if they wind up unable to use the service anyway. Speaking of flexibility, Uber will hold onto your account for 30 days after cancelling before it's gone for good, giving riders a chance to reinstate their service no-harm, no-foul if they suddenly have a change of heart.